Release Message: Mr. Jelly is terrified of everything. To give him a real reason to be afraid, the wizard sends him time-traveling back to the age of the dinosaurs. 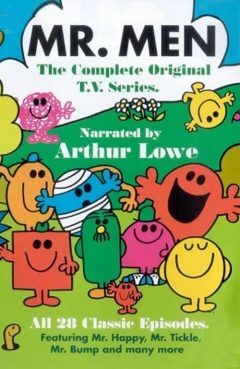 Narrated by Arthur Lowe. Description: Mr. Jelly spends his days shut away at home because he is terrified of everything. To give him a real reason to be afraid, the wizard sends him time-traveling back to the age of the dinosaurs. After seeing many terrifying creatures, there isn't much chance of Mr. Jelly being afraid of the cuckoo in his clock now!